Many of us buy packaged food products without reading the contents in the food labels. We should be aware of the fact that food labels provide critical information about packaged food items. If read properly, we can even determine the quality of food products that might be packed several days, or months before. In the event of considerable depletion in the quality of packaged food items, food standard authorities of several countries proposed many strict measures regarding the contents printed on food labels. According to many food standard authorities like FDA, FSSAI, ample information about the food products must be written in a clear and precise manner on food labels. Also, these authorities ask consumers to read and understand labels before they purchase any packaged food item. Ingredients: Reading the ingredient list helps you understand the amount of saturated fat, added salt or added sugars used in producing the food item. You can skip buying a product in case you find any ingredient, which can be a potential danger to your health. 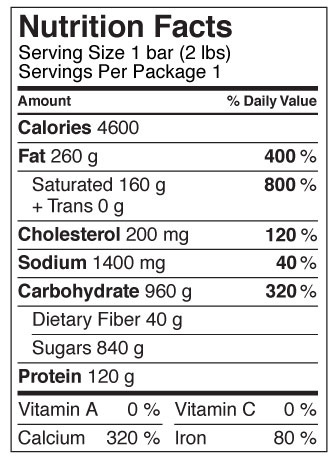 Serving size – Food labels contain information about the number of servings in the food package. Also, you will get to know the amount of specific nutrients and calories per serving. % of daily value – Consumers can understand the percentage of nutrients in each serving by reading the % of daily value. In case you want to consume fewer nutrients, you can choose a food product with less % of daily value. Similarly, if you want to consume food items with more nutrients, you can opt for the one with a higher % of daily value. Calories and nutrients – Food labels provide information on the types of nutrients and the amounts of calories used in producing the food item. Read the nutrients list clearly, and identify the type of nutrients that are not meeting your health requirements. Consuming higher amounts of fat, saturated fat, trans fat, or sodium may lead to severe health problems. Also ensure that the packaged item contains enough nutrients such as dietary fiber, vitamin A, vitamin C, calcium, and iron for your consumption. As listed above, food labels provide valuable information about the product, which might be packaged for several days or months. Reading these labels help you make a healthier food choice while avoiding confusion in terms of nutrition.